The ceasefire monitoring exercise on the Azerbaijani-Armenia state border, in the direction of Azerbaijan’s Gazakh district, held under the mandate of Personal Representative of the OSCE Chairperson-in-Office on April 17, ended without incident, the Azerbaijani Defense Ministry told AzVision.az. The Personal Representative’s field assistants Ghenadie Petrica and Martin Schuster carried out the monitoring exercise from the territory of Azerbaijan. 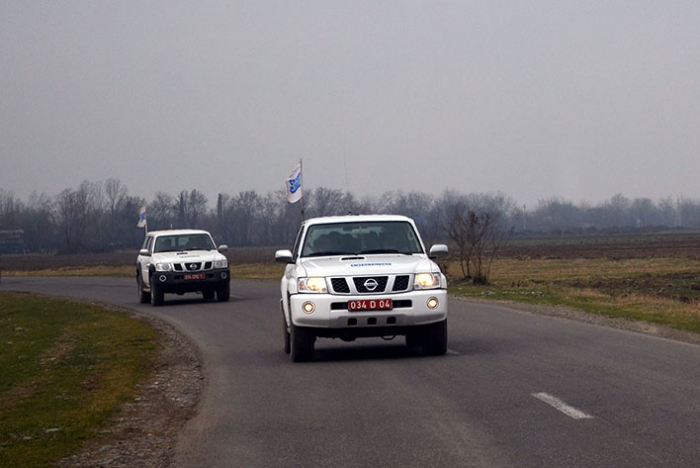 The Personal Representative’s field assistants Mihail Olaru and Ognjen Jovic carried out the monitoring from the other side of the border.